We carefully select the most effective natural and organic Southeast Asian ingredients for our formulas. We use only the highest quality ingredients, never compromising on purity to cut corners. 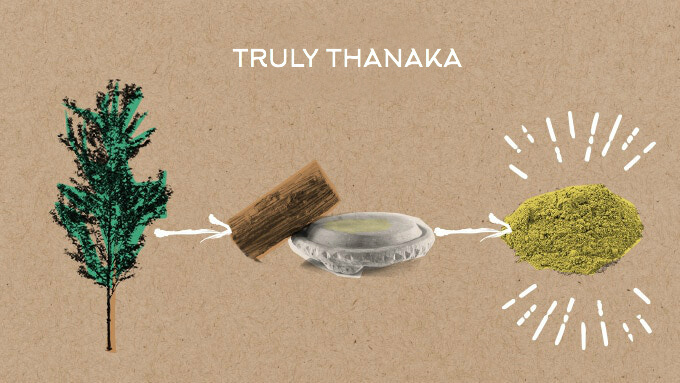 All of our 100% pure Thanaka is sourced from traditional family owned sustainable farms in Myanmar. Our other ingredients are either harvested from our own pesticide-free garden, wildcrafted or locally sourced. All of our formulas are absolutely free of toxins, allergens, phthalates, parabens, sulfates, PEGs, TEA and DEA. And we never, ever test on animals.